It turns out that our very own Tom “Yum Yum” Alicandri was a big star before his exposure on the Night Prowl Show. In 1973, a bow tie clad Yum appeared on To Tell The Truth. Click the above image to begin Yum Yum video playback. Harlem – Week of 9/24/07 – Jesse Belvin! The Man Behind The HITS “Goodnight My Love” and “Guess Who”! He’s one of the greatest songwriters of all time, but you’d never know since he sold most of his copyrights for a couple of hundred dollars in quick cash. This week, Matt The Cat brings you the story behind the story on the late, great Jesse Belvin. We’ll dig deep in the vaults to pull out records he did with Marvin Phillips (who would go on to form Marvin & Johnny) and Eugene Church (as The Cliques). He’s the heart and soul of LA R&B; and this week, he’s on HARLEM! For the FIRST TIME in 50 Years! HARLEM presents LIVE vintage performances by the top rhythm and blues acts of 1956 as performed on Alan Freed’s Rock N’ Roll Dance Party Radio show. 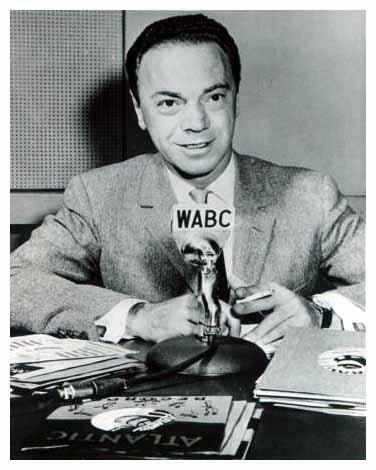 Alan Freed was the most important and influential DJ of the 1950s by exposing a mass white audience to the as-yet undiscovered sounds of rhythm and blues. In 1956, Freed hosted a summer replacement series over CBS Radio called The Rock and Roll Dance Party. Each week, he’d feature the top R&B; groups, backed by Count Basie’s orchestra and Sam “The Man” Taylor. 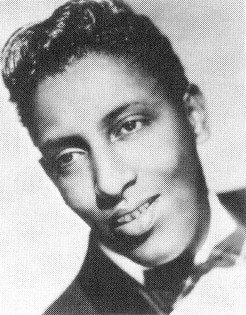 Joe Williams even sang with the band on some of the shows. For the first time in 49 years, these performances will air on national radio as HARLEM dedicates a solid hour to these wonderful, forgotten live gems. Live recordings are very rare from the 1950s, so this week’s HARLEM is quite a milestone.